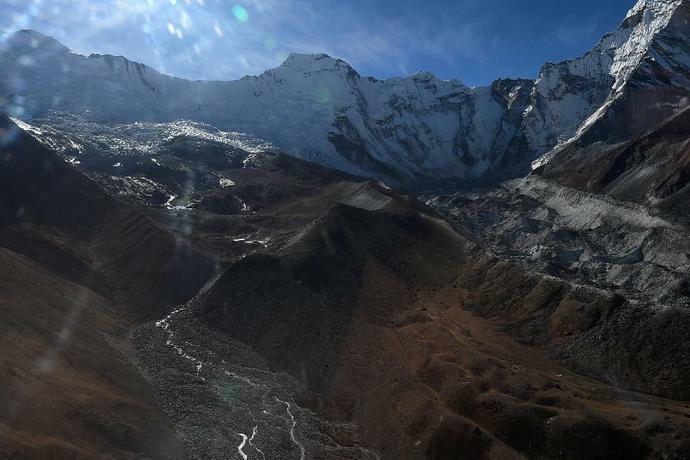 Kathmandu (AFP) - Two-thirds of Himalayan glaciers, the world's "Third Pole", could melt by 2100 if global emissions are not sharply reduced, scientists warned in a major new study issued Monday. Even if the most ambitious Paris Agreement goal of limiting global warming to 1.5 degrees Celsius (2.7 degrees Fahrenheit) is achieved, one-third of the glaciers would go, according to the Hindu Kush Himalaya Assessment. Five years in the making, the 650-page report was published by the International Centre for Integrated Mountain Development (ICIMOD) in Nepal, one of eight countries on the front line. "Emerging hazards -- in particular glacial lake development and increasingly unstable rock and ice faces -- will become a major concern," said Duncan Quincey, an associate professor at the University of Leeds school of geography. The economic gap between the world's poorest and richest countries is 25% larger because of global warming, a new Stanford study shows.